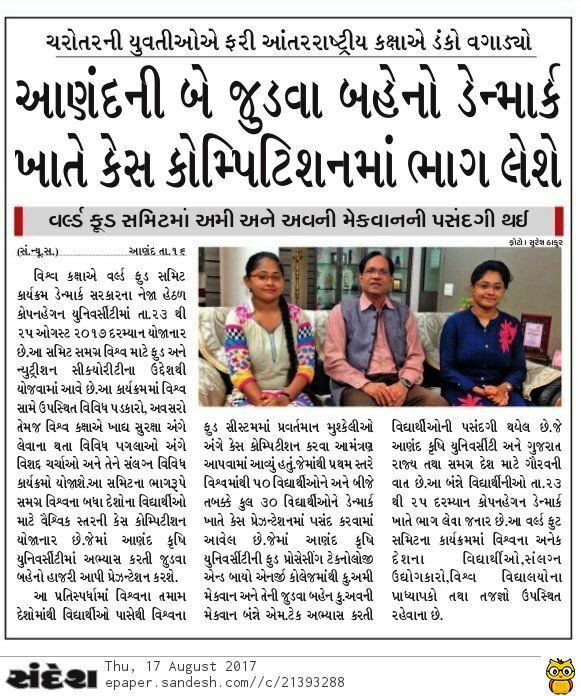 Twin sisters from Anand selected to participate in World Food Summit 2017 in Denmark. 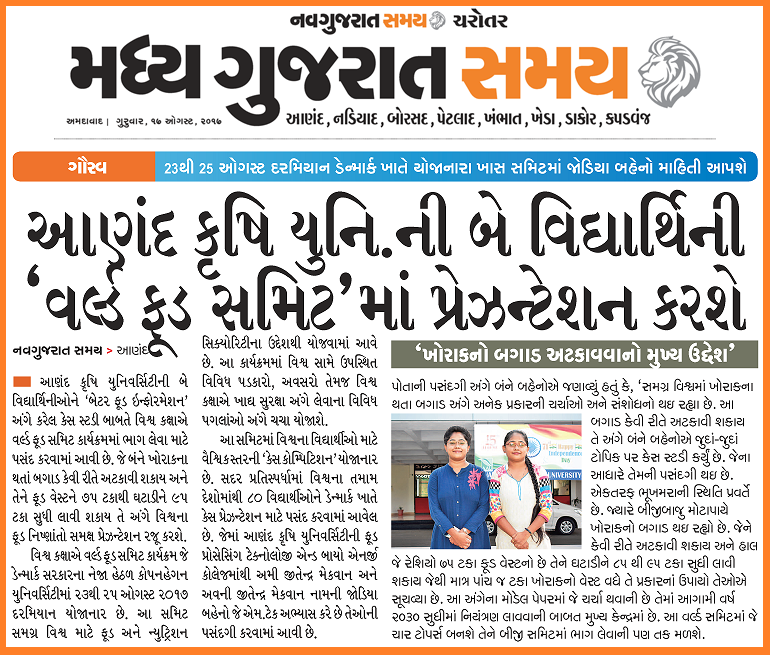 Congratulations to Ami & Avani Macwan for your selection to participate in World Food Summit 2017. 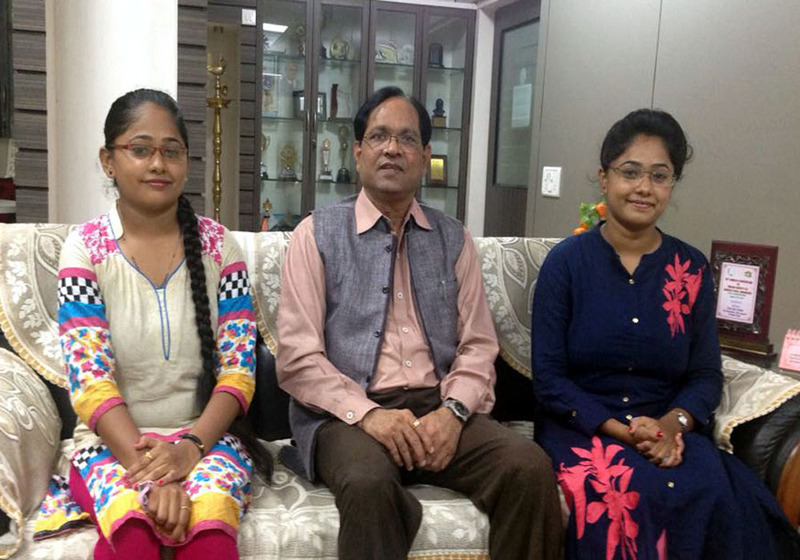 Ami Macwan and Avani Macwan (Twin sisters) With Chancellor N.C. Patel, Anand Agriculture University.